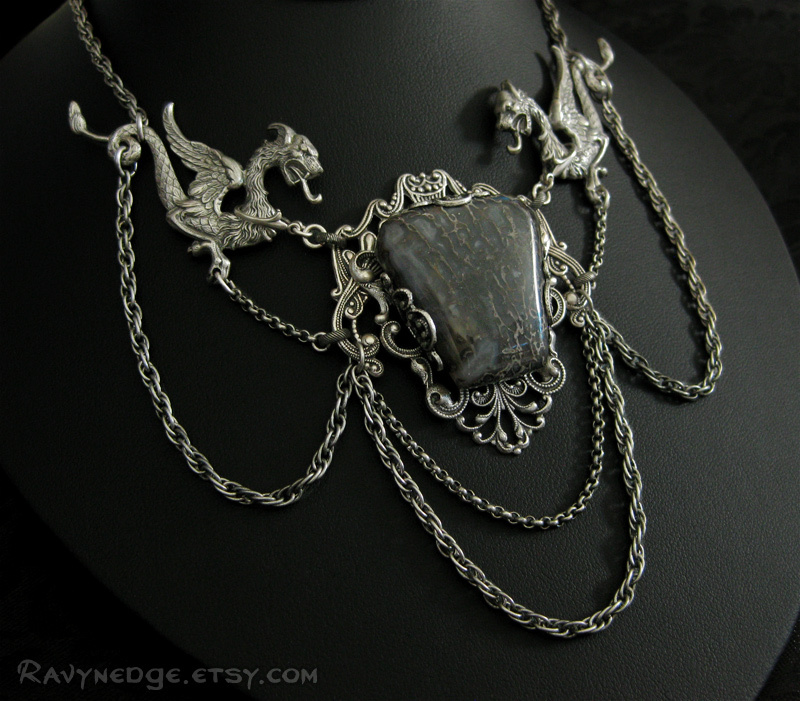 Dragon's Legacy Necklace - Spiderweb Dinosaur Bone and Silver Choker by RavynEdge. 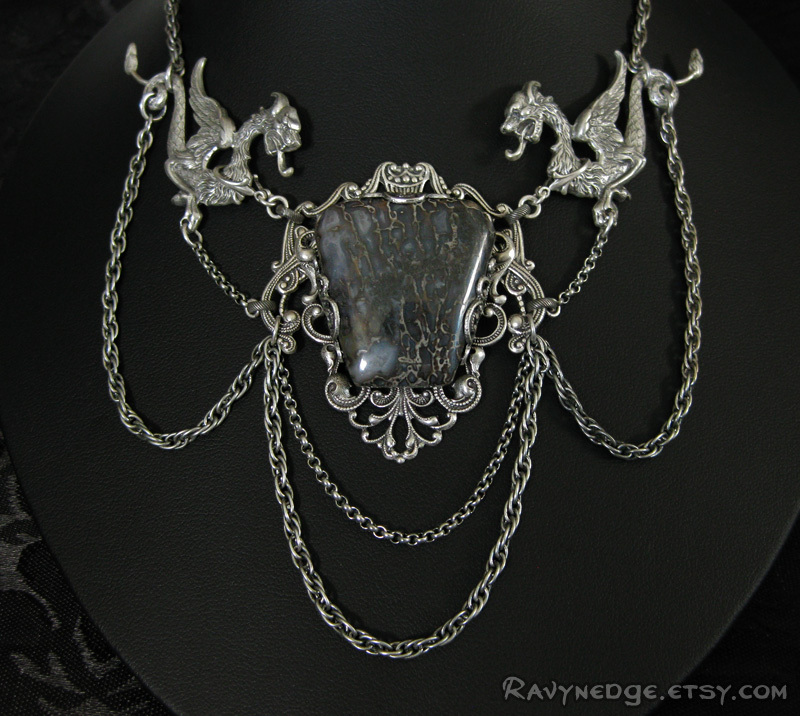 Two dragons guard their legacy...a fossilized dinosaur bone with spiderweb cells set in layers of ornate filigree. Swags of chain drape between the three elements and add feminine grace. The proprietor of a small shop in Manatou Springs, CO found this fossil on one of his jaunts in the Colorado wilderness. He cut and polished the bone himself. When I saw it for sale in his store, I knew that it was something special. It took me almost 5 years to come up with the perfect design for this unique treasure. The chain adjusts from 16 inches (40.6cm) to 18 inches (45.7cm) and closes with a lobster clasp. 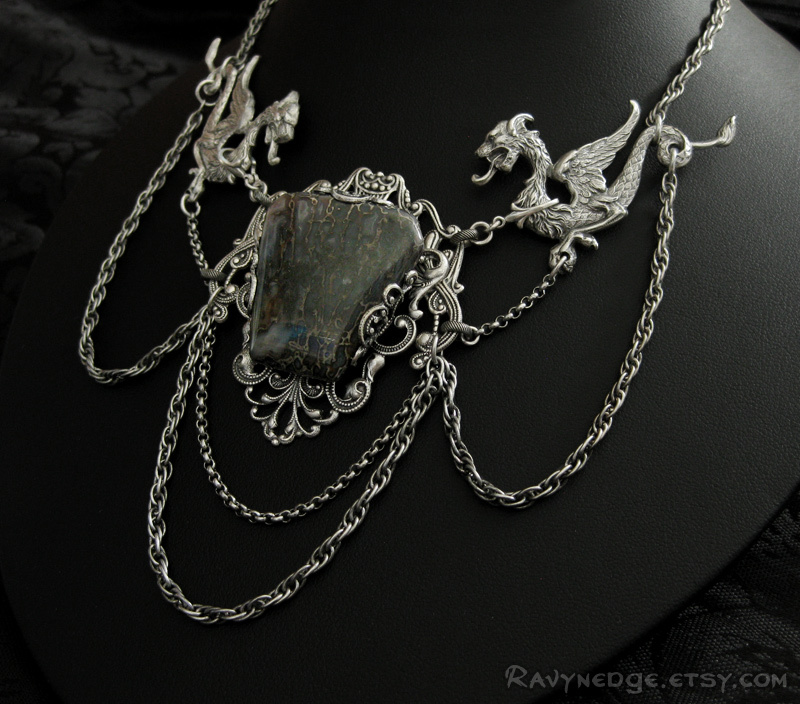 The necklace focal is made of sterling silver plated brass. 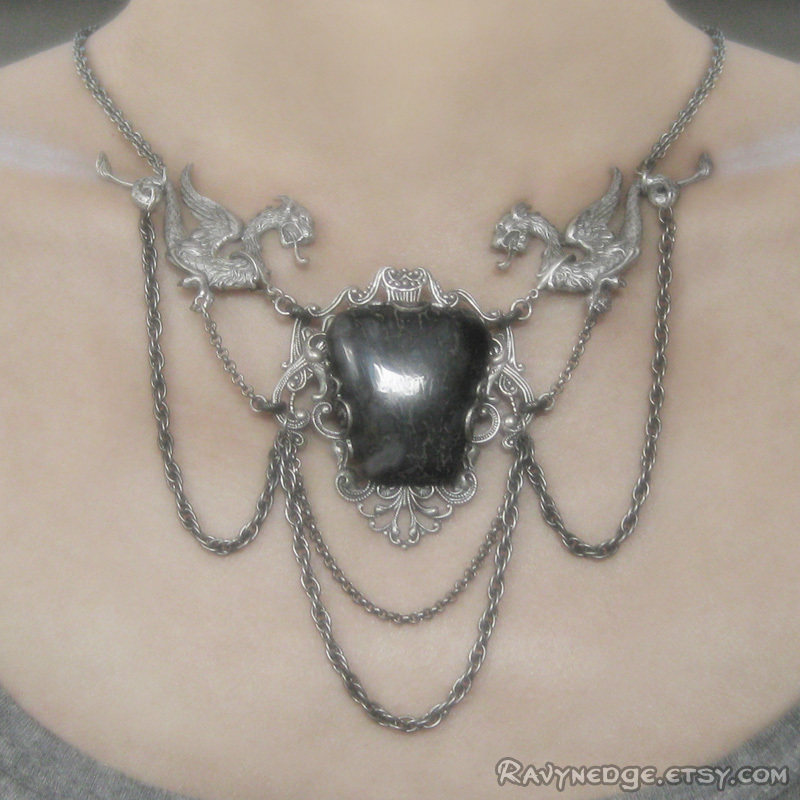 The chain are made of sterling silver plated steel. All metal has an oxidized finish to give that wonderfully romantic and gothic look with a vintage appeal. Nickel free and lead free.